While most of us know that chocolates can make our furry friends sick, still many don’t know that onions can also make them gravely ill and worse, die. Onions and dogs are lifelong enemies. We are talking about onions in different forms, from raw to fried onion rings, to cooked onions on your pizza or soup with onion powder. Some of us love onions and plenty of people foods contain them. Whilst they make our foods awesome and tasty, we should take our pets especially, our dogs into consideration. Onions contain thiosulphate which is considered toxic to both cats and dogs. 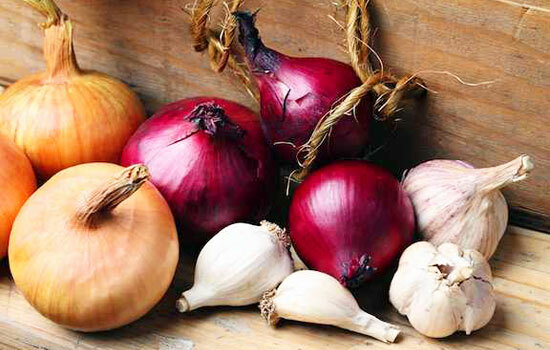 Onion toxicity can cause a wide array of health problems. As a responsible pet parent, you should learn these details since onion is a very common ingredient and is always present in every household. This is also the reason dog foods do not contain onion powder. Likewise, it is important for us pet owners to know the different symptoms and health problems related to onions, which are among the worst food ingredient to feed your dog. A small amount of it won’t harm your dog, but a regular serving of at least 5 grams can cause noticeable hematologic changes. Why Are Onions Bad for Dogs to Eat? Unfortunately, some households would feed their dogs with table scraps not knowing that these can impose risks to their dogs. So how an onion can induce harm to your dog? This is mainly because of the substances called thiosulphate and organosulfur that your dog cannot digest. 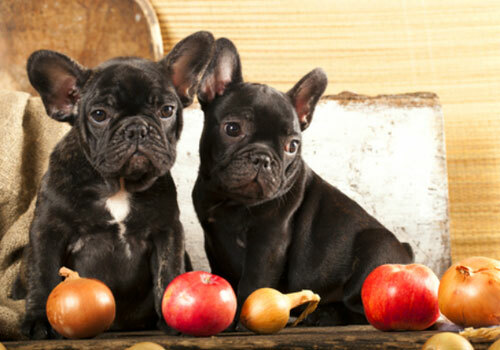 Frequent feeding of a small serving of onions may still affect your dog’s health and vitality. Aside from onions, you should also prevent your dog from eating chives, shallots and garlic as these ingredients are also deadly to them. Large dog breeds can better tolerate onions compared to smaller dogs. But still, onions in general, are bad for every dog’s health as it will cause damage on a cellular level, regardless if we notice the symptoms or not. Onions also contain organosulfur, a compound that causes toxicity among dogs. According to Dr. Tina Swan from Veterinary Pet Insurance, onion toxicity can be extremely harmful to dogs and is expensive to treat. Ingesting large amounts of onions can result in liver damage, allergic reactions, diarrhea, vomiting, weakness, asthmatic attacks, and dermatitis. Another critical problem that may occur is known as Heinz Body Anemia or Hemolytic Anemia. It is when the dog’s red blood cells are being damaged which, results in decreasing red blood cells count, hence, causing them anemia. The common symptoms of Hemolytic Anemia include rapid heart rate, depression, and weakness, loss of appetite, vomiting, and diarrhea. It causes regenerative anemia, which means, the dog’s body will create new red blood cells while cell damage continues. Although Heinz bodies are not actually life-threatening, but it highly affects the lifespan of red blood cells in the blood which carries oxygen to the brain and body cells. The ASPCA Animal Poison Control Center based in Urbana, Illinois annually recorded not more than a dozen cases of toxicity due to onions, garlic, and chives. Aside from the symptoms mentioned above, toxicosis also may result in a decrease in dog’s stamina, red urine, lethargy, abdominal pain and bluish or pale gums. The problem with onion toxicity is your dog may not exhibit any effects right after eating onions. It will take days before you can notice his loss of appetite and appear lethargic. This lack of early symptoms, pet owners are less likely to conduct detoxification which is only effective if you catch the poisoning early. Take note that symptoms may vary based on the amount of onions your dog has eaten, the dog’s size and span of time the onions ingested. Be extra cautious when feeding your dog with table scraps since most of the foods we eat include onion or onion powder. Read the labels thoroughly to prevent poisoning your dog unknowingly. 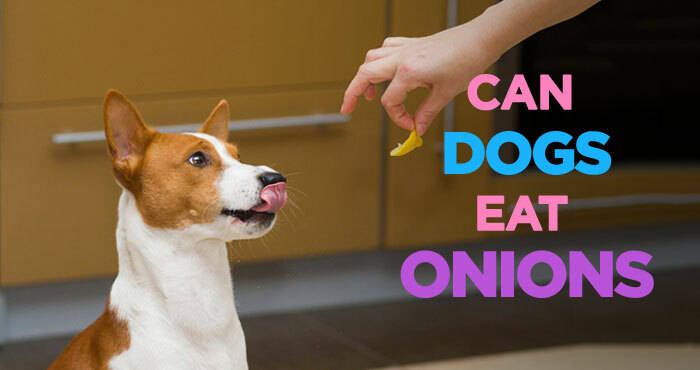 Watch the video for more details on why onions are bad news for a dog. My Dog Ate Onions! What to Do Now? By all means, consult a certified veterinarian if you suspect onion poisoning and avoid treating your dog on your own. If by chance, you immediately discovered your dog has consumed onions, immediately take him to the veterinarian. The vet may induce vomiting so your onion eater will be able to lessen the absorption of onion. He may also give your dog a product to flush out its stomach or to detoxify it and treat poisoning and allergic reactions by using activated charcoal. Onion-poisoned dogs require specialized care and monitoring to detect early signs of anemia. Other treatments include bathing and drying the dog in case of skin infection. Also, it is important to keep your dog properly hydrated by giving him plenty of water. In severe cases and later stages of onion toxicity, blood transfusion and applying therapy for damaged liver are usually required along with close monitoring of anemia and supportive care. 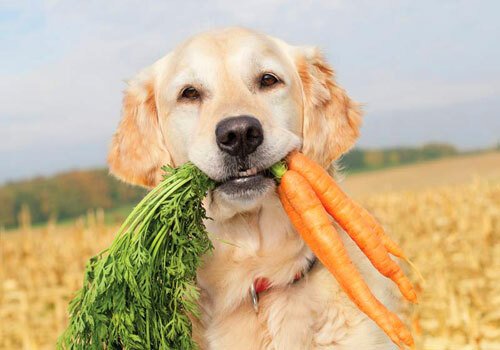 Prevention is always better than cure, so you have to be extra careful when feeding your dog with human foods. Aside from the onion family, avoid giving him grapes, walnuts, fatty foods, and chocolates. Always check food labels and stick to approved dog foods. For more information about poisoning, go to ASPCA Animal Poison Control Center‘s website. We surely love to give our fur babies sumptuous meals such as stew and pizza, however, before feeding them with human foods, remember, it may do him more harm than good. 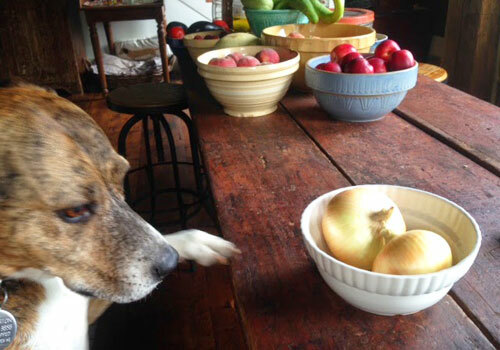 So, to summerize, Can dogs eat onions? Apparently, the answer is NO since it is poison for them and has harmful effects on their vitality and overall health. The seriousness of onion poisoning among dogs should make you think twice if it is okay to feed him with table scraps and human foods. Regardless of its size, breed and athleticism, dogs are no doubt unsafe with onions and the rest of the Allium family. Be a responsible dog owner and prevent this mishap from happening by keeping your dog away from these harmful ingredients. If you suspect onion poisoning then you should consult a certified veterinarian. You should avoid treating your dog on your own. Onion-poisoned dogs require specialized care and monitoring to detect early signs of anemia.